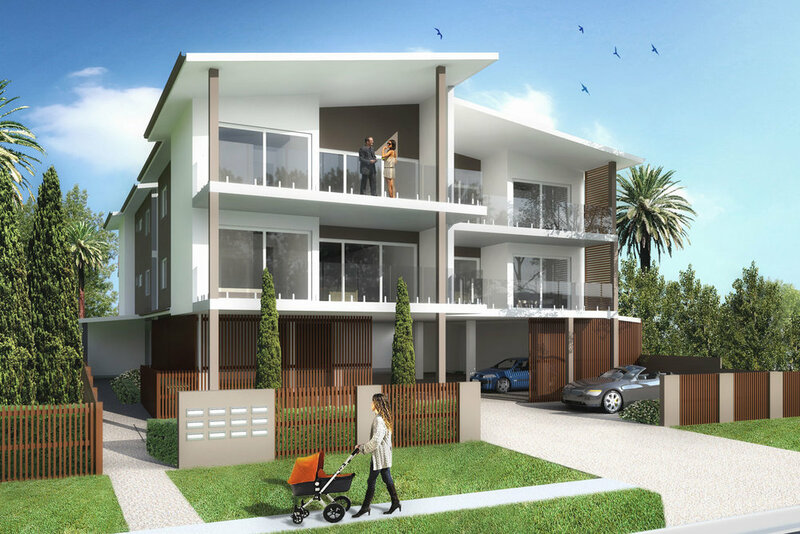 This development recently finished construction at Upper Mount Gravatt. Containing 10 multi-unit dwellings each contemporary and functionality enriched unit has 2 bedrooms and 2 bathrooms. With a pedestrian access foyer, communal open space, large balconies and landscaping, this complex provides spaces to facilitate a high quality living environment with peaceful escapes. This project was completed in collaboration with Hutchinsons Builders and AAD did the client side project management through tender, procurement and contract administration.